I hope you are having a wonderful St. Patrick's Day! Those with Irish ancestry and those with any reason at all to love Ireland or the Irish have been celebrating this past week and will continue into this weekend. 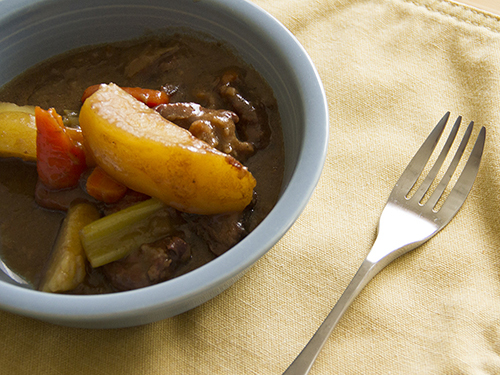 Here is my mom's recipe for Irish stew. If you are ambitious and would like to enjoy a hot meal with your drink, give it a try! Cube the meat and cut up the vegetables. Open a Guinness for yourself. Brown the onions in 2 tbsp butter until soft, remove the onions from the pan with a slotted spoon and place the onions in the bottom of a large, shallow, greased ovenproof dish. Put ¼ cup flour, salt and pepper in a plastic bag (Baggie) and mix together. Put meat cubes in the bag, close the top and shake the flour to cover the meat cubes. Remove the cubes and brown the meat in 2 tbsp butter. After browning, place the meat cubes on top of the onions in the baking dish. Add the potatoes, carrots and celery to the baking dish. Add 2 tbsp butter, the remaining flour from the baggie, and an additional tbsp of flour to the frypan. Cook for a minute or two, stirring constantly, then add the basil and the Guinness. Boil for 1-2 minutes, then add the brown sugar and the beef broth. Return to a boil for 1-2 minutes and pour over the meat and vegetables. Cover the baking dish with a lid or with foil and cook in the oven at 350 degrees for ½- 2 hours, until meat and vegetables are tender. If the gravy looks like it needs thickening, mix 1 tbsp flour or corn starch with 2 tbsp water and stir into the gravy 15 minutes prior to the end of the cooking time. 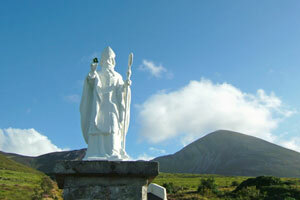 You will find tips and advice for booking your trip to Ireland and photos to enjoy while you wait. I will be adding more helpful information in the weeks and months to come. Thanks.